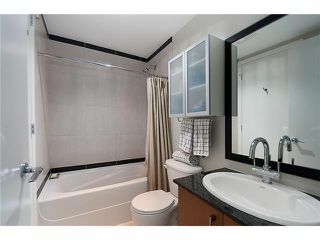 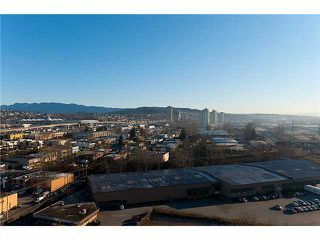 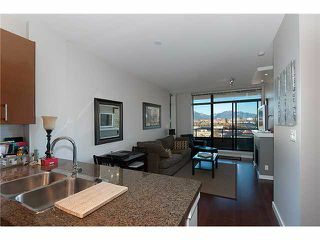 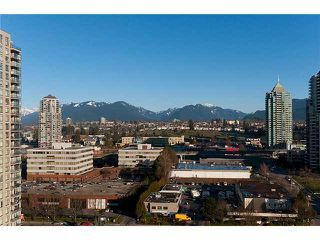 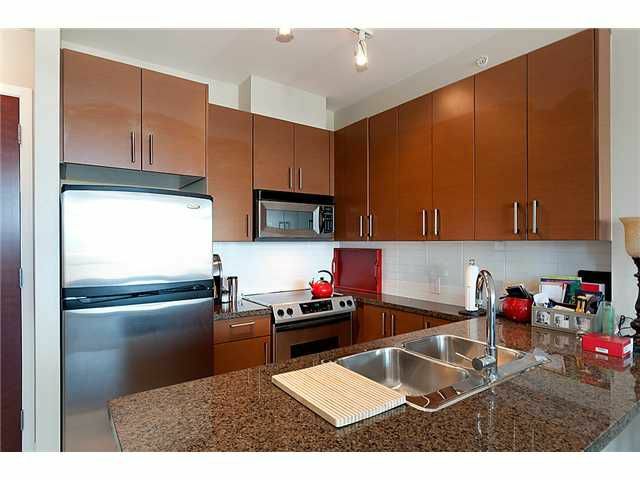 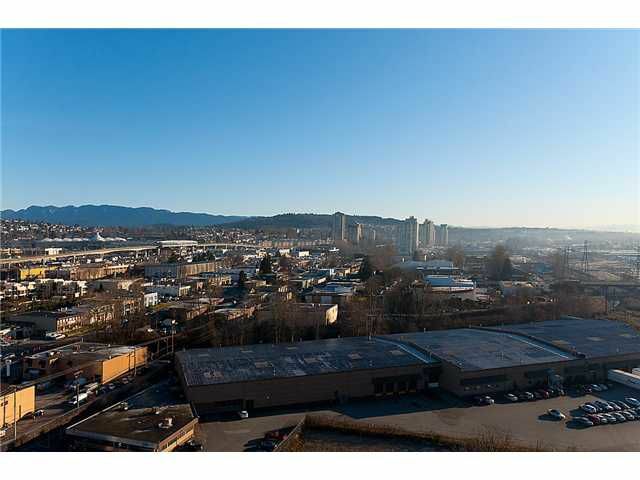 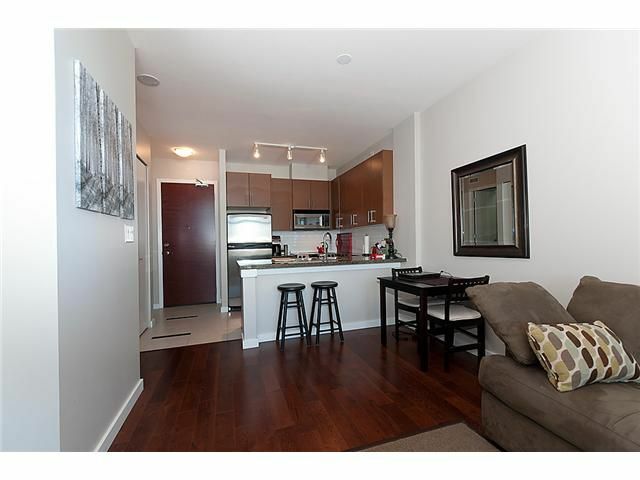 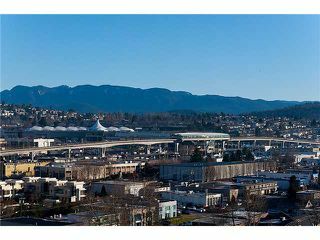 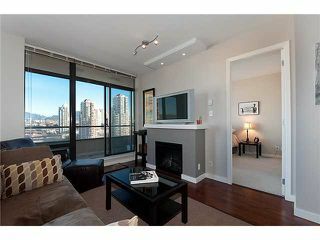 Enjoy beautiful panoramic city & mountain VIEW from high above on the 17th of this North facing 1BR & DEN suite. 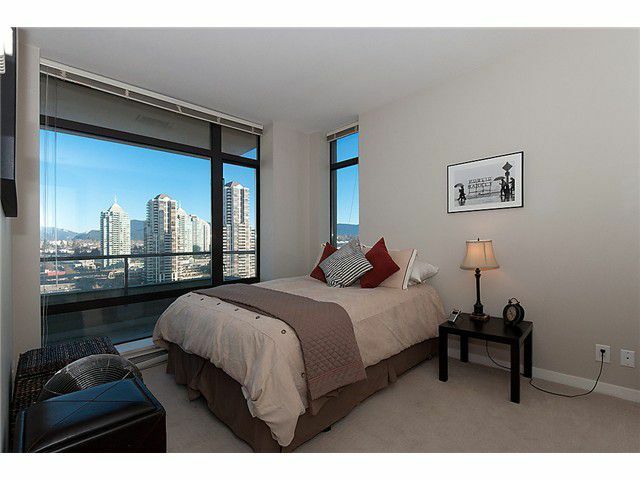 This spacious & open plan features 9' high ceilings, floor to ceiling windows, hardwood floors, designer paint, granite countertops, stainless steel appliances, fantastic semi-ensuite with cascade shower & spa tub, cozy electric fireplace & extra large balcony stretching the entire unit to enjoy the stunning view & entertain. 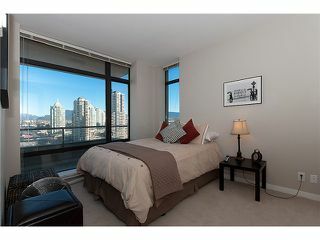 Also includes is 1 parking (on convenient ground level) & 1 storage locker. 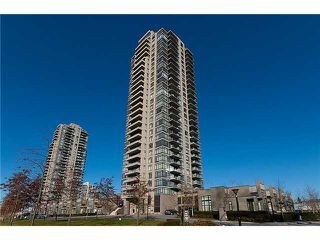 Excellent building in an excellent location. 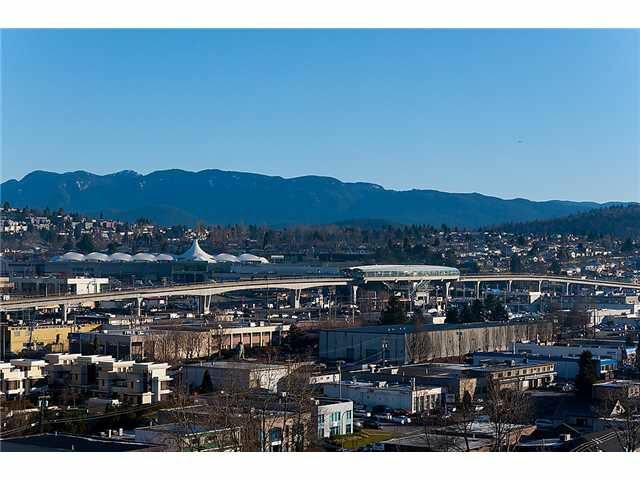 Enjoy all of the areas finest attributes right at your doorstep & minutes away from convenient skytrain. View realtor website for Photo Gallery & Floor Plan.